Nvidia has released a new set of GeForce graphics card drivers, version 355.60, which are "Game Ready" for the Ashes of the Singularity tech demo that will be released to the public later this month. Ashes of the Singularity is a real-time strategy game being developed by Oxide Games and Stardock. 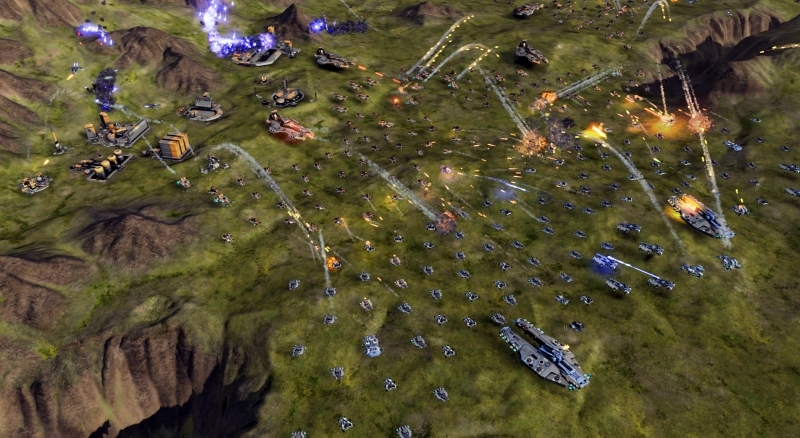 Built using the Nitrous engine, Ashes supports large-scale wars with thousands of on-screen units thanks to the use of DirectX 12. The upcoming tech demo is designed to show off the power of DirectX 12 rendering ahead of the game's final release sometime in 2016. The GeForce 355.60 drivers also support Nvidia's new GameWorks VR, which is a set of APIs and tools that allow developers, both on the software side and on the VR headset side, to create the best virtual reality experiences. As usual, these new drivers also bring a range of bug fixes and profile updates for games. There are new SLI profiles for Devil May Cry 4: Special Edition and Next Car Game Wreckfest, while Trine 3 gets a new 3D Vision profile. You can grab the GeForce 355.60 drivers from our driver download section right now, or alternatively, GeForce Experience can automatically update your drivers for you.